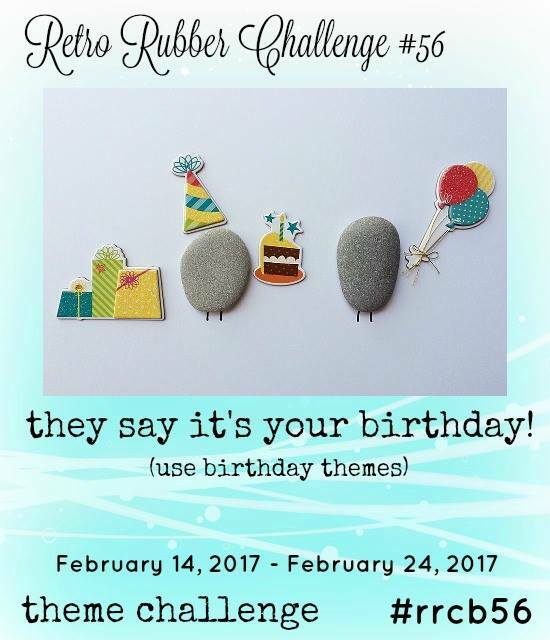 This week at Retro Rubber Challenge, we're all about birthdays. Dust off your stamps that are older than a year and show us a birthday themed card. For this challenge, I've used the set that was my one of my bonus free sets when I signed up with Stampin' Up in 2015. No Bones About It came out in the 2015-16 annual catalogue. As as kid, I was fascinated by dinosaurs and I managed to create the same love in one of my children, who was even more obsessive than I was. Even so, I haven't used this set as much as it deserved and am pleased to have a reason to get it off the shelf. It's essentially a one-layer card but the layering of the stamps makes it seem quite playful and lively and all of them are from the one set. 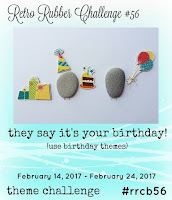 You have two weeks to join us on this birthday challenge and we'd love to see what you do. You must use at least one stamp that at least a year old, but there's no restrictions on anything else Don't forget to give us an approximate age for your stamp. Stamps: No Bones About It. Hi Jan, this card is perfect for a child that loves dinosaurs. My son use to be obsessed with dinosaurs when he was younger, at one time I knew all about them. The colors and the layout of your card is just perfect. 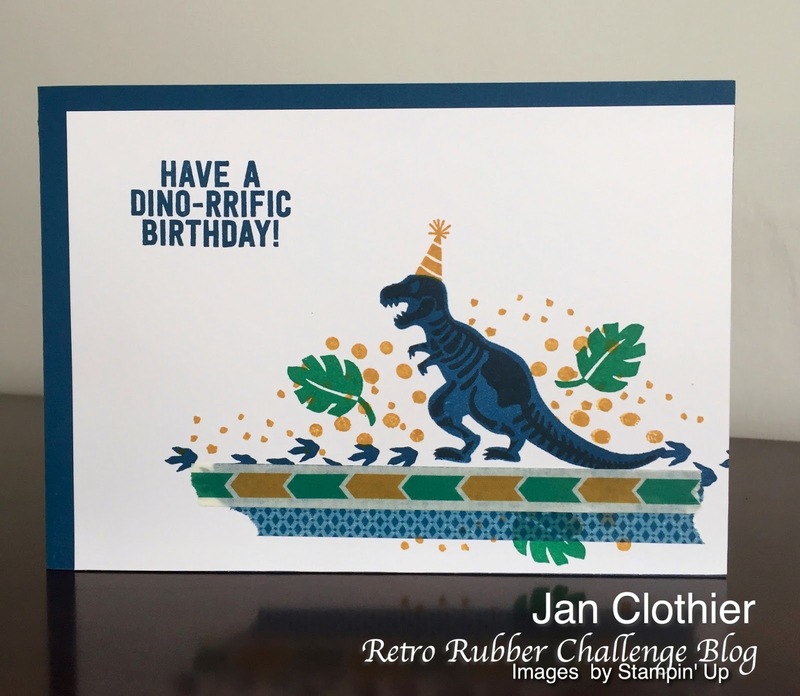 Oh Jan, I love this set, it's truly perfect for kids because they love Dinosaurs but I've seen some cards for adults too that are really funny. Love the colors and the washi tape, perfect for this "scary" dino to walk on. I learned something new about you! I had a very keen interest in archaeology (not just dinosaurs) as a kid and my son was absolutely obsessed about dinosaurs - totally read everything he could get his hands on about them and would then draw them for hours! I bought this stamp set as well as Dinoroar. I haven't used them much but waiting to see if that gene gets carried down one more generation LOL! Your card is so much fun and I am sure there's a kid that is going to love it as much as I do. This is the very first stamp set I ever bought and is still one of my favorites! 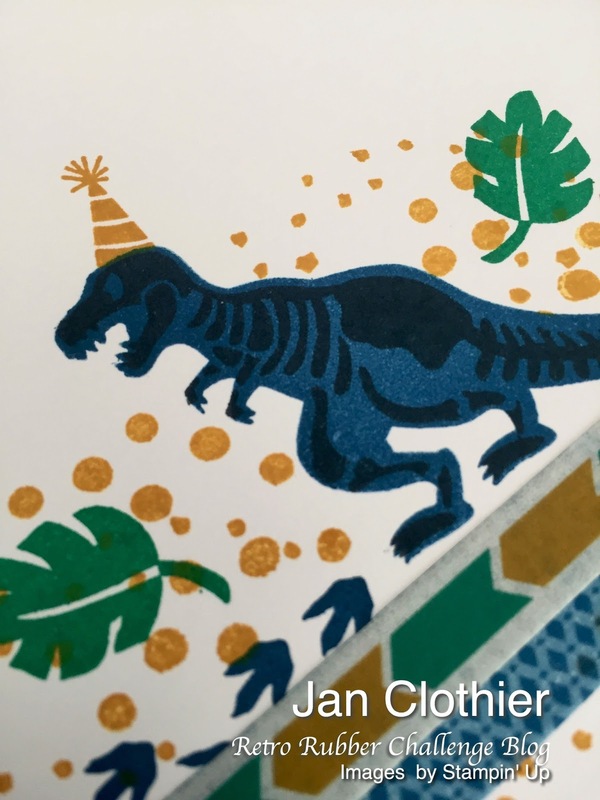 I'm so glad you could share a fun dino birthday card today! The colors are a great choice for this Dino inspired card! The washi tape is the perfect addition!